One hundred and seventy medical students from the U.S. have graduated in Cuba, thanks to the Latin American School of Medicine (ELAM), an initiative launched by Comandante en Jefe Fidel Castro. Speaking exclusively to the Cuban News Agency (ACN) Zenia Díaz Catalá, director of the ELAM project general secretariat, noted that since the first graduation in 2005, to date, over 28,500 medical students from 103 countries have studied and graduated, completely free of charge, from ELAM. Dr. David Floyd from the U.S. graduated from the school in 2017, and expressed his gratitude to the Cuban government, people, and teachers and workers affiliated with this noble project, which also stands as an example of how integration among communities from around the world can contribute to creating a more humane world. It’s been an incredible experience for me. I’m impressed by the link between theoretical and practical study, which is different from the U.S. system and that of other countries, noted the young doctor. In Cuba you learn by touching the patient, and solidarity is really important. In my country, students don’t help each other, here both the students and professors support one another and are extremely professional, stated Floyd, an African American man who studied on the island for six years, including pre-med courses. The young doctor completed his degree at the Salvador Allende Faculty of Havana’s University of Medical Sciences, which saw a total of 52 international students graduate this year - 25 from the United States, according to the institution's dean, Dr. Suiberto Echavarría, speaking with ACN. David Floyd senior, father of the recent medical graduate, expressed his joy, pride and eternal gratitude for the opportunity his son has been given to study medicine in Cuba, where the training system is centered on humanist ethics and principles. 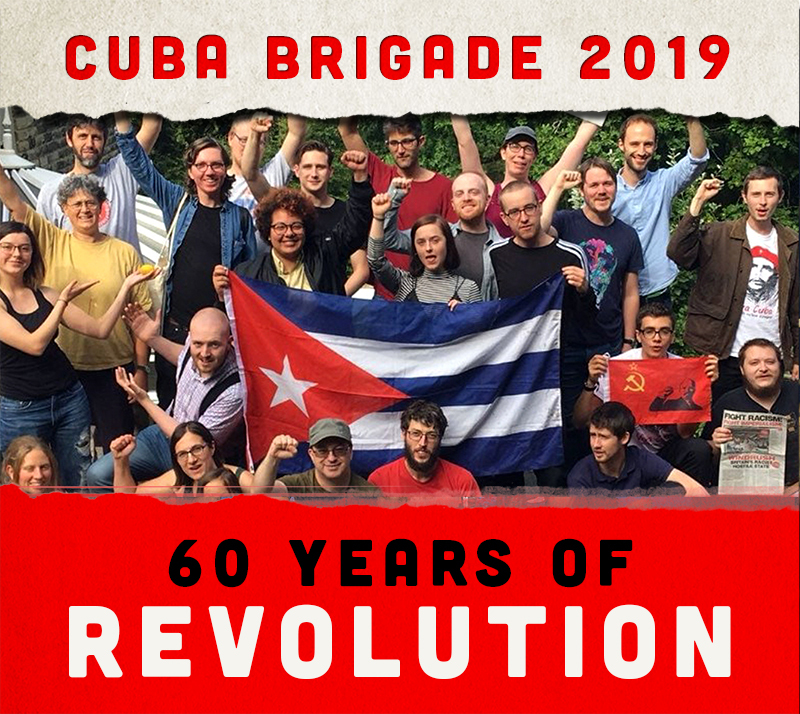 In November 2015 the Co-operative Bank closed the bank account of the Cuba Solidarity Campaign (CSC) citing changing “risk appetite” and “global regulations” among the reasons. Now following a huge campaign by CSC members and affiliates Niall Booker, the bank’s Chief Executive, has finally confirmed in writing that the closure was due to ‘risk’ arising from sanctions imposed by the US government. US blockade policies against Cuba are enforced by the US Treasury Department’s Office of Foreign Assets Control (OFAC). By adhering to US sanctions the Co-operative Bank is complying with US extraterritorial legislation. This is in itself illegal under British and EU law. When similar events occurred in Austria and Mexico, those countries acted to penalise the companies for acquiescing to US blockade sanctions legislation over and above their own county’s sovereign laws.